As a experienced Dentists with the highest reputation and expertise in this field we like to share this article about Baby bottle caries. It’is a dental condition that can destroy the teeth of an infant or young child. The upper front teeth are the most susceptible to damage, but other teeth also may be affected. Baby bottle tooth decay is caused by the frequent and long-term exposure of a child’s teeth to liquids containing sugars. Among these liquids are milk, formula, fruit juice, fizzy sweetened drinks, and other sweetened drinks. The sugars in these liquids pool around the infant’s teeth and gums, feeding the bacteria that cause plaque. Every time your child consumes a sugary liquid, acid attacks his/her teeth. After numerous attacks, tooth decay can occur, resulting in baby bottle tooth decay. Parents and carers should be especially concerned with giving an infant a sugary drink at nap or night time. During sleep, the flow of saliva decreases, allowing the sugary liquids to pool around the child’s teeth for an extended period of time. Parents sometimes do not realize that baby’s teeth are susceptible to decay as soon as they appear in the infant’s mouth. By the time the decay is noticed, it may be too late to save the child’s teeth. You can prevent this from happening to your child’s teeth by knowing how to protect them. • Breast feed your baby. • After each feeding wipe the child’s teeth and gums with a damp washcloth or small soft toothbrush to remove plaque. • Begin brushing your child’s teeth as soon as the first tooth erupts. • Flossing should begin when all primary teeth have erupted, usually by age 2 or 2 1/2. • Never allow your child to fall asleep with a bottle containing a sweetened liquid. • If your local water supply does not contain enough decay-fighting fluoride, check with your dentist to see if your child should receive fluoride supplements. • Start dental visits between six and twelve months of age. Like it or not, we live in a beauty-conscious society. Not all of the ‘beautiful people’ were born that way, however. Many have helped nature along by taking advantage of plastic surgery, as well as cosmetic dentistry. Melanie Griffith, Cher, Jane Fonda, to name just a few, have all openly displayed the results of their cosmetic surgery to the world. Fortunately such self-improvement is no longer the exclusive domain of the rich and famous. Nor is it considered a sign of self-indulgence or vanity. Quite the contrary, taking steps to improve your appearance today is considered an investment in your health and well-being, and it is as socially acceptable as it is personally gratifying. In our modern competitive society, a pleasing appearance often means the difference between success and failure in both our personal and professional lives. Because the mouth is one of the focal points of the face, it should come as no surprise that the smile plays a major role in how we perceive ourselves, as well as in the impressions we make on the people around us. If you would like to improve your confidence we have the expertise to recommend the most appropriate course of cosmetic dental treatment. Many of the Clinic’s Patients voiced their concerns about the mercury contained in this material, not to mention the copper, zinc and silver. The metals pollute both our Clinic and our local environment. We only use tooth coloured restorations now. Special chemicals, that are fully bio-degradable, are used to clean the tooth surface, before the tooth-coloured filling material is bonded into position.The ‘super glues’ used are perfectly safe, and provided these tooth coloured fillings are placed in a suitably prepared tooth, they will last a minimum of 5 to 8 years, dependant on the size of the restoration, and how much tooth structure it replaces. The larger the restoration, the less time they will last, and for many of the larger restorations, you should be considering a crown to fully restore the tooth to its original shape and function. Veneers are thin porcelain coverings, similar to false finger nails. They are superglued to natural tooth tissue, and can be used to disguise the original colour, shade or shape; in fact any facet that you find embarrassing about your teeth. Bleaching teeth is a very effective way to brighten and lighten dark or stained teeth. This technique has particular application for upper and lower front teeth. It takes about 2 to 3 weeks, and can create a permanent colour change. The systems we use here are designed to be used at home, so that you are in control of the final shade and colour. All the chemicals used in these systems have been extensively researched and are safe as prescribed. Together with us you can learn to look after yourself! Our practice continues to grow and thrive because of your “word of mouth”. We appreciate you for sending us your friends, family, and co-workers. Every time you send us a new patient for dental services, we will give you a complimentary gift certificate to Starbucks cafe. We used to recommend that you come into the Clinic every 6 months. This outdated and old fashioned approach has no real clinical basis at all. Our Burnaby Dental Clinic will recall you by our computerised system at the interval set in discussion with you, our Patient, our hygienist, and the Dentist. Once your dental health has been assessed, and any problems sorted out, you should see your Hygienist or Dentist every 3, 4 or 6 months. You will be recalled more often if you are prone to Periodontal disease. 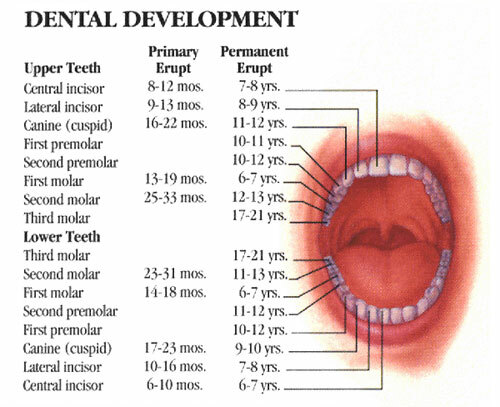 Infants should see a dentist at about 12 months of age. Botox Cosmetic is a natural purified protein that relaxes wrinkle causing muscles, creating a smoother & improved appearance. BOTOX® is the most popular, non-surgical cosmetic treatment in North America, for women and men seeking wrinkle reduction. It is most commonly used to reduce or eliminates frown lines, forehead creases, crow’s feet near the eyes, lines on the upper lip and thick bands in the neck. To help you look as young as you feel Dr. Goran is pleased to announce the availability of BOTOX® Cosmetic through his Crystal Dental office in Burnaby. It is administered through a series of injections, washing away the signs of aging by relaxing those muscles in treatment sessions lasting from 10 to 15 minutes.Physician-administered to millions of youth conscious patients across North America, results appear within days of treatment and last up to four months. It’s a trusted therapeutic choice used safely and successfully for wrinkle therapy for over 20 years. Botox is a purified protein which is safely metabolised by the body. 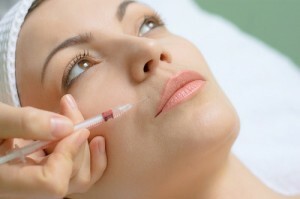 There is no permanent side effect known with BOTOX therapy for facial wrinkles. There is no downtime with this procedure. The appointments are short, and you are fine to carry on with your day as normal, no one will be able to tell you had it done. It allows for natural movement of the face. Results last 3-4 months. Why are dentists a good clinician choice when it comes to administering botox? For more information or to find out if Botox can work for you, contact your Crystal Dental Centre for a Complimentary Cosmetic Consult.